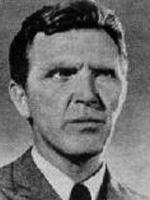 Robert Lansing appeared as Gary Seven in the 1968 Star Trek episode "Assignment Earth." ... not to be confused with the other Robert Lansing, who was Secretary of State. 1st hand,he was a nice guy,that he was! Something always fresh to his readings. Fondly remembered for the WW 2 "Terlve OClock High" tv B--17 series.